The mission of Abilene Christian University is to provide students with a Christian education that leads to service and leadership. The university has about 4,600 students enrolled annually; they come from nearly every state and 43 countries. Founded in Abeline, Texas in 1906, the university offers 71 baccalaureate majors in more than 125 disciplines along with its graduate programs. Its Christ-centered curriculum sets it apart from other institutes of learning, making its graduates distinct in spiritual formation and intellectual reach. Abilene Christian University welcomes students whose character and ability value the spiritual and learning environment of the university, specifically respectful of its religious foundation and faith. Students and faculty enjoy exceptional academics and dynamic learning resources that promote a distinctive academic environment. It fosters a healthy student life, health, wellness, recreation and athletics. Successful alumni consists of bestselling Christian authors, businessmen, educators, mayors, medical doctors, members of Congress, movie producers, musicians, state judges and researchers. 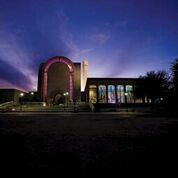 These Abilene Christian University graduates continue to bring a positive impact in industries everyday and have been duly recognized in many of the local and international award-giving bodies, such as Dove Awards, Emmy Awards, Grammy Awards, Inventor of the Year, Pulitzer Prize, Teacher of the Year Awards and Telly Awards. Athletics in Abilene Christian University integrates its department mission through the achievement of quality academic pursuits strengthened by strong Christian foundations embedded in academic excellence and values. Its philosophy promotes integrity, excellence, diversity, balance and engagement. ACU Athletics Training aims to provide the student population with well-planned athletic programs for sports performance, with care and rehabilitation of injured players. Along with its roster of trainers, ACU prides itself with state-of-the-art sports equipment that complies with the requirements of student-athletes. Incoming student-athletes are required to submit complete medical packet information prior to arrival in the campus. ACU complies with the requirements of the NCAA. The administration is committed to the principle of institutional control as it operates consistent to the spirit of the NCAA, the Lone Star Conference (LCC), in which the university is a member, and Abilene Christian University regulations. Overall, ACU is responsible for the actions of its community members. Its student-athlete advisory committee prides itself with its accomplishments. SAAC works as liaison to the athletics division at ACU, and as a leadership group recruiting student-athletes participate in campus and community programs. Furthermore, it promotes marketing and fundraising activities, community engagement programs, student-athlete welfare activities and campus-team integration programs. These activities encourage Abilene Christian University student-athletes to have a voice in all issues concerning their experiences and welfare. Abilene Christian University athletic programs revolve around men’s and women’s sports. Men’s include baseball, basketball, cross country, football, golf, tennis, track and field. Women are into basketball, cross country, soccer, softball, tennis, track and field and volleyball. Student-athletes if qualified are offered or awarded scholarships by the university or national award-giving bodies. Abilene Christian University is “where champions are made”. The Abilene Christian University Wildcats over the years is attributed to athletes, coaches and winnings, which are qualities embedded in the athletics program. The Wildcats have participated and won in the different sports categories imbued with academic, athletic and spiritual qualities and abilities. Abilene Christian University athletic sponsorship opportunities have been created to assist deserving scholars. In 1964, the NCAA Post-Graduate Scholarship began awarding the most accomplished student-athletes. To date, there are more than 174 scholarships, each amounting to $7,500. Specifically, scholarships are awarded to those who excel academically and athletically and who are at the end of their intercollegiate athletics competition. 29 scholarships are available for each season (fall, winter, spring) to men, and about the same number is allotted to women. The scholarships are one-time, non-renewable grants amounting to $7,500. The student must be a full-time graduate student with an average-point grade of 3.2. The student-athlete must be nominated by a faculty athletic representative. Also, Abilene Christian University provides another type of scholarship through its Division II Strategic Positioning Platform. DII stands for service, passion, balance, resourcefulness, learning and sportsmanship. Many DII student-athletes receive financial help with quality education. As additional assistance, the Degree-Completion Scholarship Program likewise provides deserving DII student-athletes with financial assistance as they are given the chance to experience national championship opportunities, community partnerships and national recognition’s. DII student-athletes have received the highest individual honors, including the Walter Byers Scholarship Award and the NCAA Woman of the Year Award. Moreover, ACU also has the Chancellor’s Scholarship Award and the Revis D. and Earlene D. Tyler Endowed Chemistry Scholarship. For incoming freshmen, Abilene Christian University provides the Degree-completion Award Assistance, applying similar parameters as student-athletes.